Coker Arboretum is at the center of one of the most beautiful university campuses in the nation: the University of North Carolina at Chapel Hill. 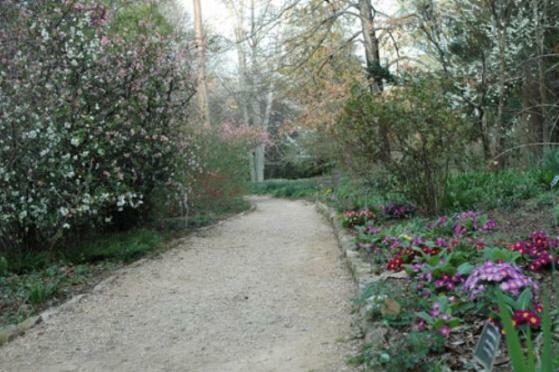 Managed by the North Carolina Botanical Garden, it is one of the Garden's oldest tracts. The Arboretum is open dawn to dusk daily, year-round. Coker Arboretum is located next to the Morehead Planetarium & Science Center on the UNC campus, at the corner of Country Club Road and Raleigh Street. The Arboretum also makes a wonderful backdrop to a wedding. Visitors to the Arboretum can refer to interpretive brochures, stored in marked storage boxes at several locations, to guide their walks through this historic site. Parents and teachers can download the Kid's Scavenger Hunt worksheet [PDF] to provide an exciting pedagogical activity.